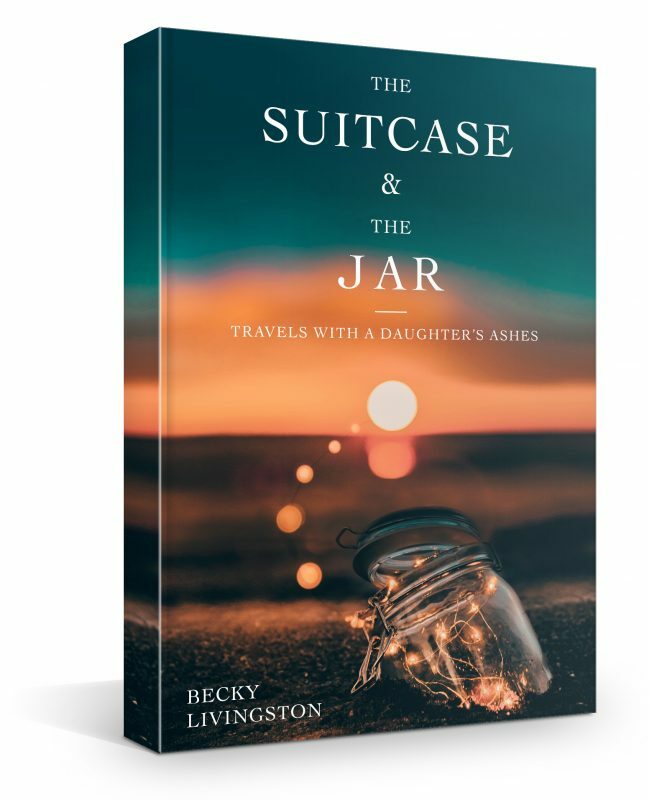 In the summer of 2011 I quit my job, put my few belongings into storage and set off overseas – my daughter’s ashes in my suitcase. I had no idea how long I’d be gone, no agenda, no idea if I would ever return to Vancouver. For 798 days I lived out of a suitcase, housesitting and visiting friends around the world. Here’s the details summarized in a blog post. If you want to read more from my travel blog, click here. For my housesitting posts, exclusively, click here. Born and raised in England, she immigrated to Vancouver, B.C., where she raised her two daughters and worked in business, teaching, peer counselling, house sitting, and retreat leadership, in addition to earning a Bachelor of Education and M.Sc. She is a graduate of Vancouver Manuscript Intensive and the recipient of the Claire Festel Grant. Her work has appeared in a variety of publications, including Always With You: Parents Talk About the Death of a Child (Demeter Press), Modern Loss, Hope Café, and the IBTA Annual Magazine 2017/18. Known as a creative spirit, Becky is a keen singer, dancer and cook. She continues to live the same minimalist lifestyle she learned while traveling. She lives in the West Kootenays, close to her daughter and grandchildren.